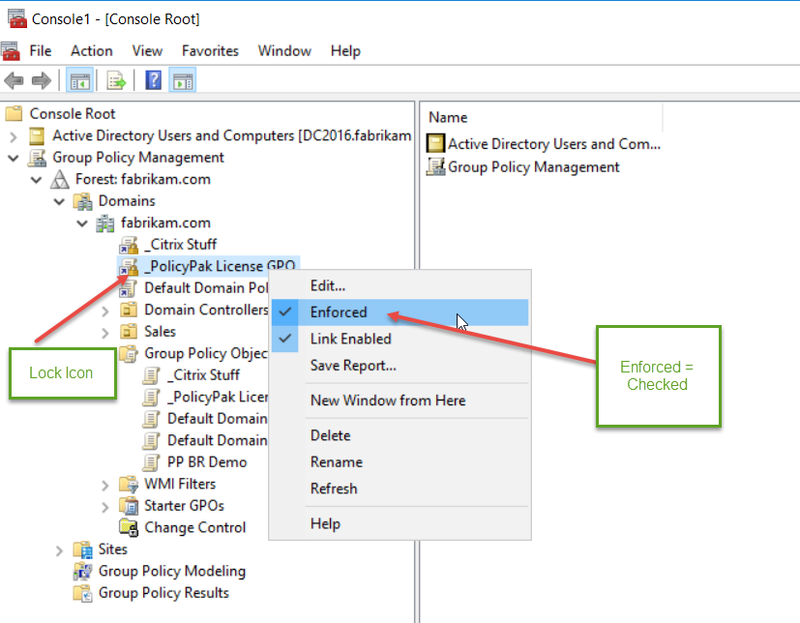 PolicyPak On-Prem licenses are contained within GPOs. Since GPOs can be “blocked” using “Block Inheritance” we ALWAYS recommend you ENFORCE the GPO’s links which contain PolicyPak licensing data. In this way, the GPO’s licensing content will always be delivered to target machines, even if Block Inheritance is used in the OU structure. As such, LT automatically recommends and performs and Enforcement of the GPOs links when license files are installed into the GPO. In this screenshot, all PolicyPak Licenses are contained within one GPO. But you might have MULTIPLE licensing GPOs, all which need to be enforced.